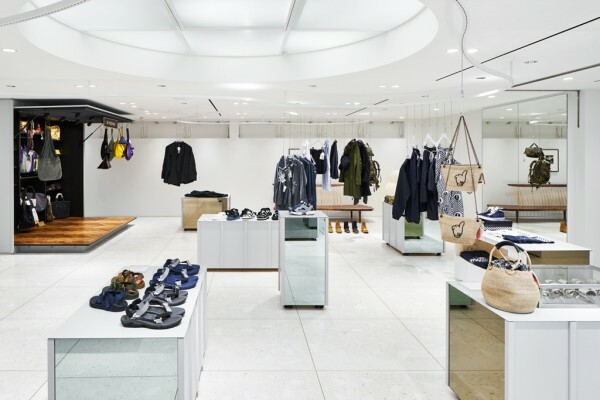 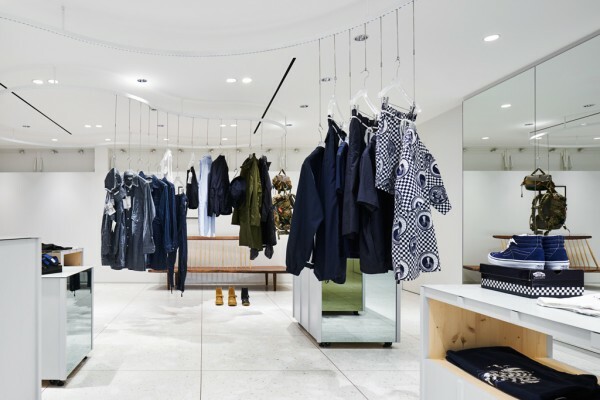 Located in Shinjuku, this store is the hub from which BEAMS "TEAM JAPAN", a project to curate goods, experiences and lifestyle based on the keyword of "Japan", sets new trends through the BEAMS boutique shop. 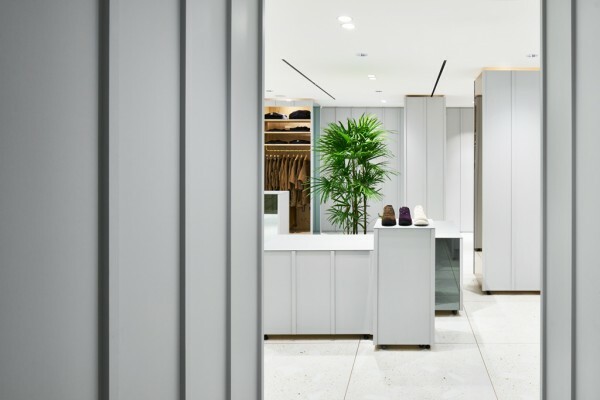 Each of its floors is home to distinct categories and during the renovation of the building, we performed the interior design for the second and third floors corresponding to “Fashion” and “Collaborations”. 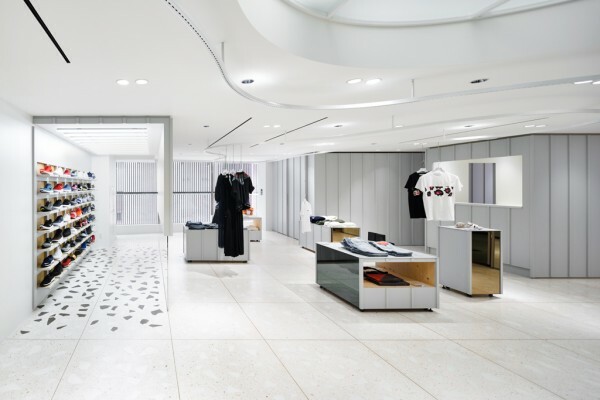 We proposed a simple space similar to a gallery that would enhance the symbolic display of carefully selected merchandise. 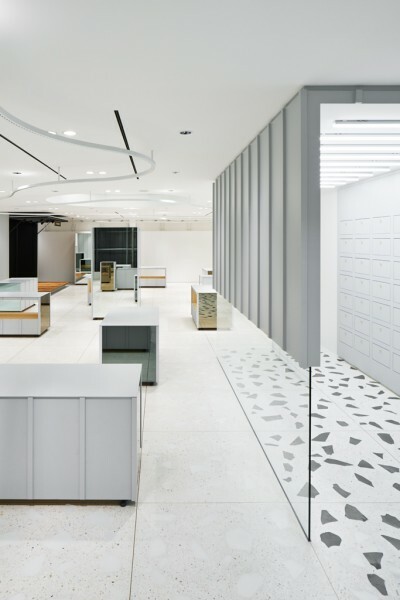 The placement of large and small grey movable boxes allowed for a flexible layout design in the open one-room spaces on both floors. 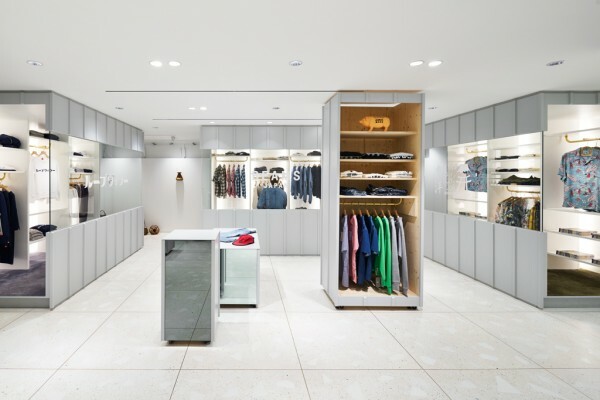 Each box shares the appearance of a reinforced frame similar to crates used for transportation; the size and form of each box was determined by its function, such as a display surface, a large display as big as a room, a register counter, or a fitting room. 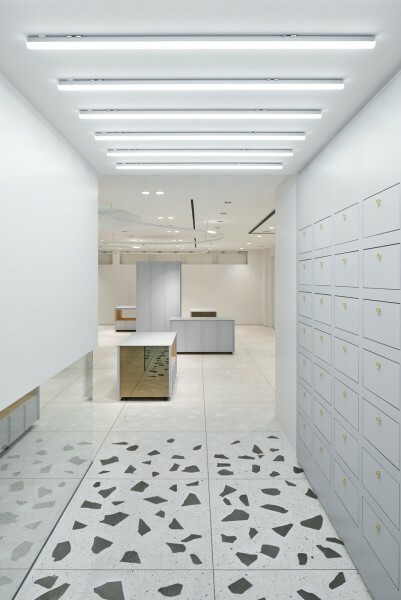 Features such as an artificial polished stone floor sprinkled randomly with fragments of high-penetration glass, colored-glass mirrors, and a bending slit pipe hanging system all give personality to the neutral white-colored space. 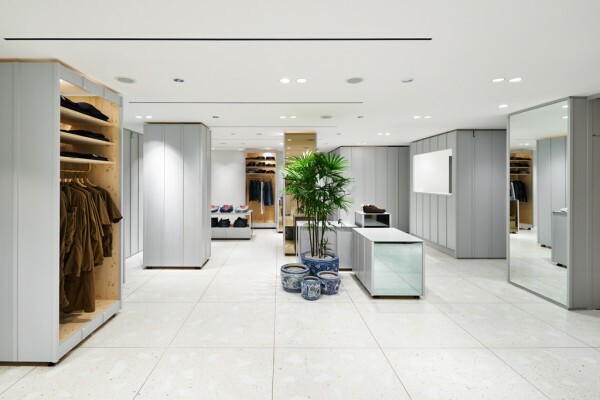 By selecting materials with a Japanese feel and by incorporating very fine details, we sought to embody the theme of Japan throughout the entire store. 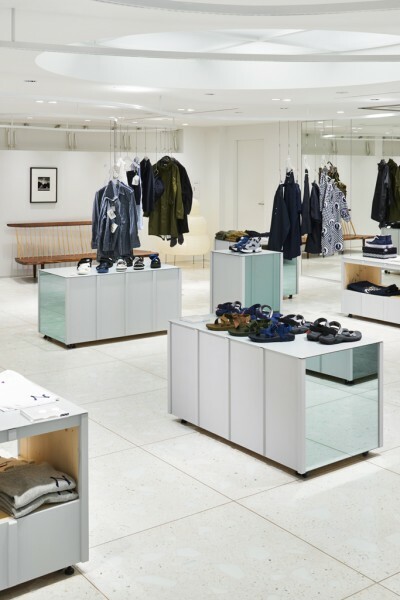 We strived to create a space that would allow for innovation on the sales floor through a curated selection based on the store’s discerning eye as a boutique shop.